Pancakes for breakfast always sound good…until you've eaten a stack and then crash hard a couple of hours later. 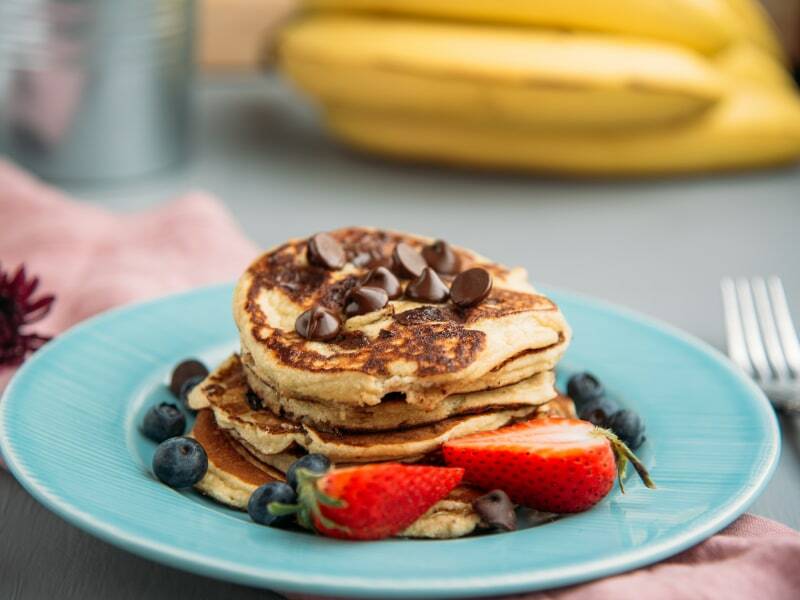 Well, here's a healthy pancake recipe packed with protein that will satisfy your cravings but won't get you to the hangry stage. Almond flour, coconut flour, and protein powder in the batter will give you enough fuel to start your day. While the banana and chocolate chips give the pancakes a satisfying sweetness yet make them lower in sugar than traditional pancakes. It's a win-win with these pancakes—especially for those around who don't have to deal with your mood swings. These can burn more quickly than classic pancake batter, so keep a close eye on them when cooking. To bump up the fiber levels even more, serve the pancakes with fresh fruits, such as strawberries, blueberries, or blackberries. Per Serving: 162 calories; 10g fat; 13.4g carbohydrates; 8g protein; 93mg cholesterol; 73mg sodium. 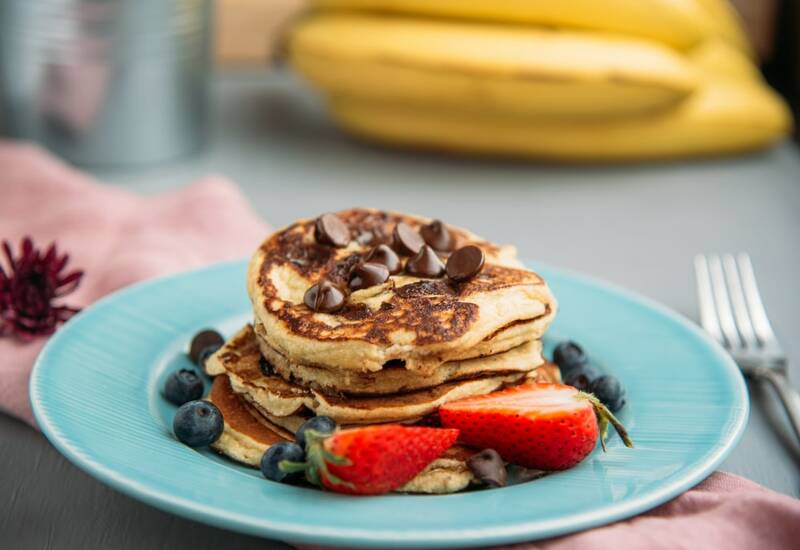 These chocolate and banana protein pancakes are addicting. The almond flour means my wife who is gluten free can eat it (which also means I have to share) but we love making this recipe on the weekends.